Combines a heady medley of spices to red rooibos, creating a rich and potent cup of tea. 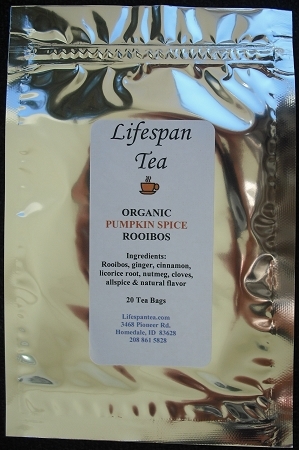 Ingredients: rooibos, ginger, cinnamon, licorice root, nutmeg, cloves, allspice and natural flavor. Organic and caffeine free.